K's Grab Bag: Having Problems Sleeping? It has been my worst nightmare to get married and then my husband would start snoring. I know how loud my dad snores at night and I didn't want to have to deal with that. 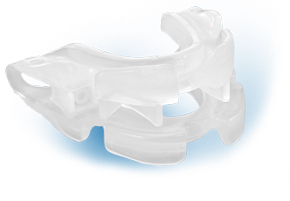 Fortunately, VitalSleep has come out with a stop snoring mouthpiece that works instantly! I visited their website (because I am always looking for new presents for my dad, haha) and I found it easy to use and navigate. The Vital mouthpiece has been cleared by the FDA and it is made in the USA, something I always look for when buying items online. If my husband ever decides to start snoring, I'm going to have to go back to the Vital website and buy one for him right away!